This past Wednesday and Thursday, my days off from work, I went up to Lake George to do some fishing with my Dad. I like fishing and I want to learn more. Who better to learn from than the master himself? I have done some fishing in my younger years with my Dad, but I have been the age where I can actually bait my own hook, bring the fish in, and get the hook out of the mouth of the fish. It is more enjoyable to me now than it was when I was younger. I can probably vouch for my Dad by saying it is also more enjoyable for him now that I am older. Both days did not have ideal weather conditions for fishing. It was too windy. We did better Wednesday than Thursday. We caught a total of sixteen between my Dad, uncle, and I. I think I had brought in the most that day. I think I caught six or seven “keepers”. 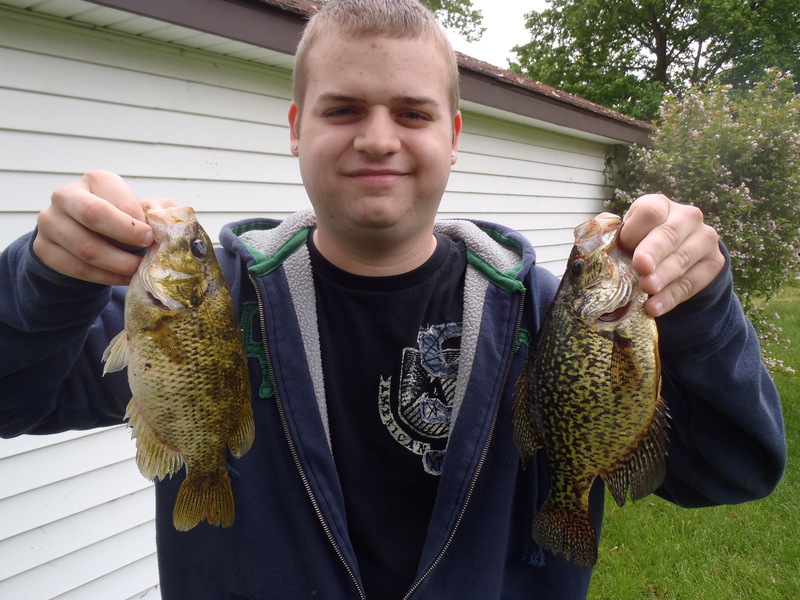 We were fishing for Crappe, but caught a few other kinds including Rock Bass, Walleye, Perch, and Bass.